Ocean Ramsey – Reviving Juvenile Tiger Shark in Western Australia. Trying to stop Australian governments shark kill policy. 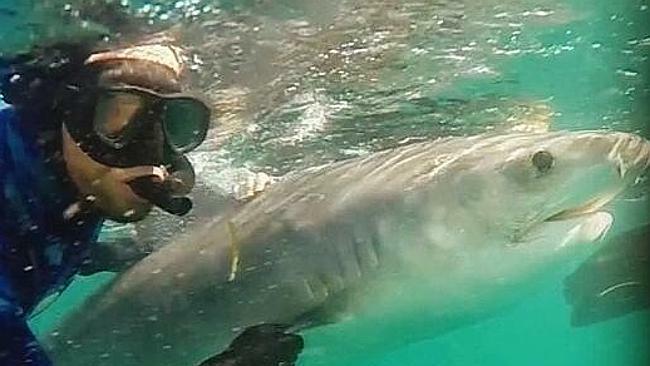 AMAZING pictures and video have been captured by conservationists who swam with an 2.4m tiger shark off Perth to bring it back from near death. The shark was hooked on a WA Government drum line off Trigg Beach overnight and released by Fisheries officers about 7am. But observers on three boats, including a Sea Shepherd vessel and an Animal Amnesty vessel, saw the animal floating just below the surface and begin to turn upside down, indicating it was close to death. They swam with the injured shark for more than an hour and a half, helping it to re-oxygenate its vital organs and muscles. 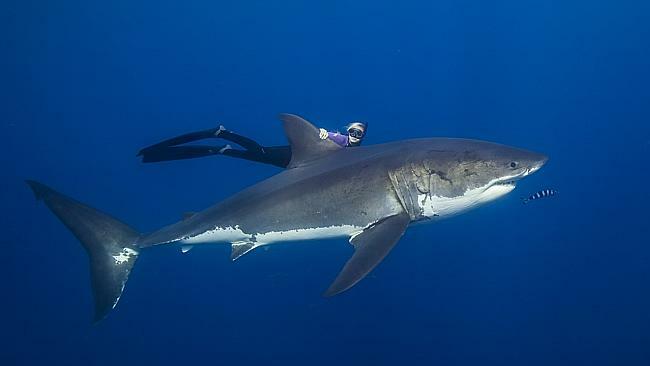 Among those who swam with the shark, which was bleeding from hook wounds, was Ocean Ramsey, the Hawaiian who shot to fame after riding the dorsal fin of a massive great white shark. 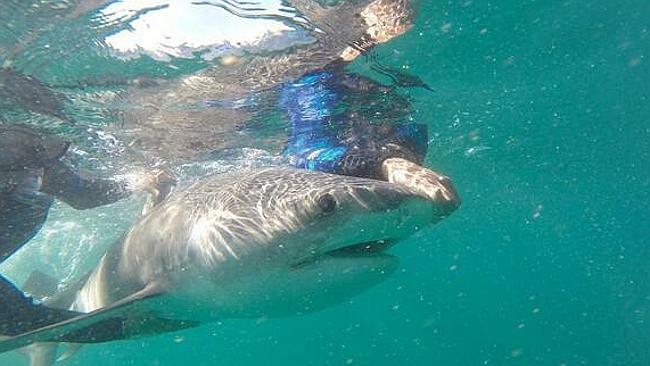 The 28-year-old is in Perth to document WA’s shark catch and kill program. Animal Amnesty spokeswoman Amy-Lea Wilkins, who also helped revive the tiger shark, said: “Everyone was starting to think it was time to give up. Then it gave a kick, then a couple more big kicks and then it swam off. It was really classic. “It wasn’t particularly dangerous. We could see the shark was close to death and it was a matter of everyone taking turns – two people swimming with the shark and one spotter. Andy Corbe, who was also among the rescue team, said the swimmers held the shark’s pectoral fins as they swam with it just below the surface. “It was pretty epic. Luckily we had about 15 people who took it turns to swim with the shark,” he said. Ms Ramsey was dubbed the “shark whisperer” after she was filmed holding onto the dorsal fin of a five metre great white shark to change perceptions of the apex predator. She described how on Tuesday she watched as a 3.5 metre tiger shark was shot and dumped at sea and a one metre tiger shark was released “alive” despite appearing to be dead. “It’s a complete waste of life because of the ineffectiveness of the methods. The small sharks aren’t surviving and the large ones are tortured for a long period of time before they are eventually put out of their misery,” she said. “The Fisheries guys just don’t know how to handle the animals. They were unable to kill (the larger shark). They started dragging it out as if they had killed and then they realised they hadn’t killed it so they had to stop and shoot it again. Ms Ramsey said a shark cull in her native Hawaii from 1959 to 1976 was found to be “completely ineffective” and WA’s policy was not based on sound science. 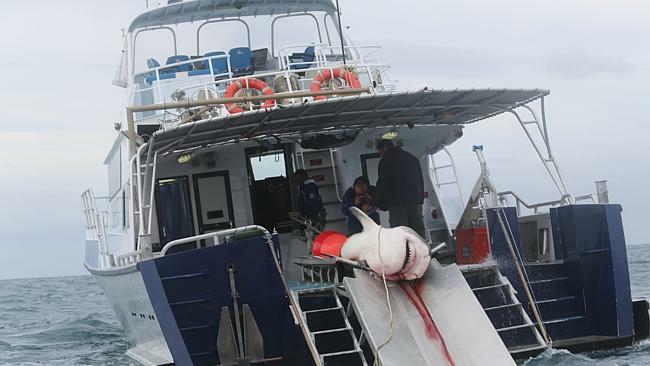 The shark advocate, who spoke at an Alternatives to Shark Culling Forum in Perth on Sunday, said far more Australians died each year from drownings than shark attacks. “To come here and see in our current day and age, with the scientific knowledge we have, a first-world country killing something so vitally important to our ecosystem is shocking and disturbing on so many levels. It’s very hard to stomach,” she said. 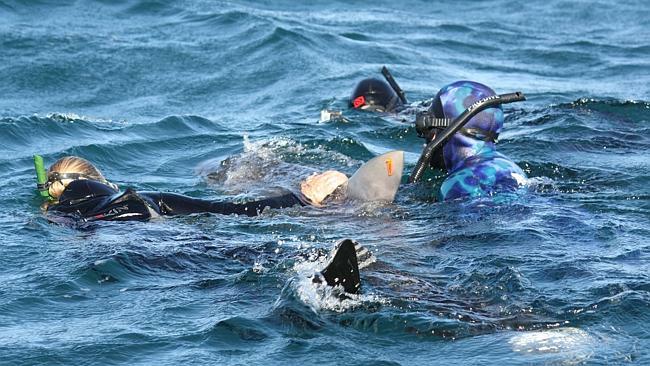 New Zealand shark scientist Riley Elliott is also documenting WA’s shark drum lines as part of a series for NZTV. 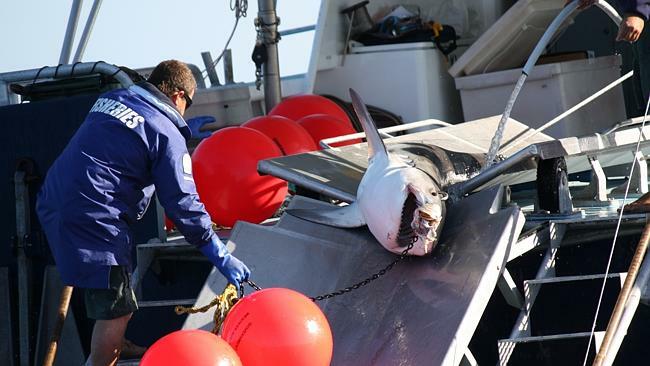 The University of Auckland PhD candidate said the State Government should fund other shark mitigation measures, such as expanding its tagging scheme. “This entire policy to protect the beaches came about to save tourism because everyone feared the sharks,” Mr Elliott said. Ms Wilkins questioned how many other sharks had been released alive by Fisheries only to die later. 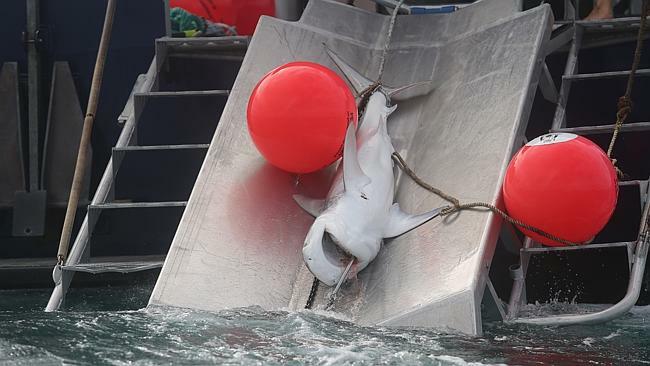 “It just goes to show how much effort is needed to revive a shark after it’s been hooked on a drum line and not able to move or get oxygen through its gills,” she said. Earlier today, a string ray was caught and released off Leighton Beach at 6.30am. It is the first known by-catch since the program started on Australia Day. Meanwhile, the Marine Response Unit, a group of anti-cull activists, said its HQ was raided by Fisheries and WA Police on Tuesday after allegations it had interfered with a drum line. The group said on its Facebook page that its boat had been confiscated, along with computers, mobile phones, cameras and other recording equipment. Tiger, bull sharks and great whites over 3m are destroyed but those under the size limit are released under WA’s catch-and-kill shark mitigation strategy.